It’s that time of the year again when children shriek from the joy of festive celebrations while adults slow down their pace from the hustle and bustle of working life to savour the perks of that mandatory get together with their loved ones. Likewise, as 2015 is slowly coming to an end, Halal Enterprises would like to take this time to reminisce this wholesome year. 2015 had been a fantastic year for Halal Enterprises with our involvement in mltiple events, expansion of our product range and most importantly meeting wonderful customers. Let’s look back at how much we have achieved with you this year. In honour of NSW Election Day, Halal Enterprises had participated in the weekly Organic Food Markets at Centennial Avenue. 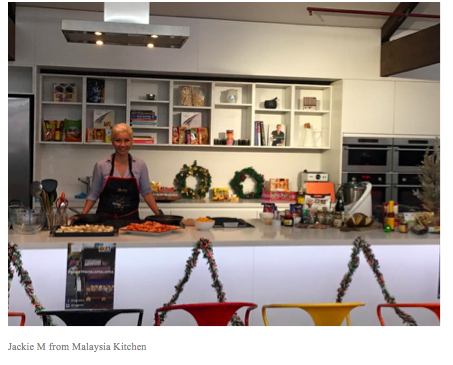 On the 28th March, we had our Habhal cooking sauces, Dollee ready-to-cook sauces and cookies, Ah Huat instant coffee drinks and Faiza cooking condiments. Not to forget our line up of taste testings for customers who would like a taste of Malaysian flavour. Alongside other stalls that sold organic produce, pastries and patisseries,fresh food and vegetables and more, we were thrilled and excited to have met enthusiastic foodies whom have taken to adore our flavour. Due to popular demand, Halal Enterprises was back in the play at the weekly Organic Food Markets. We were thankful to receive such great response from our customers during the previous market and was glad to return the favour by providing our very best in this market once again. Over the weekend from 12th April to 14th April, our team have busied ourselves to serve valuable customers at Fairfield Showground courtesy of Halal Food Expo. We had our usual set up of Habhal’s cooking sauces, Dollee product range, Faiza cooking sondiments, Ah Huat instant coffee drink and Kara coconut drink. Despite the diverse backgrounds of our customers, our team managed to provide top tier taste testing services as well as explaining our products in detail.We were thankful to have received an award by Halal Food Expo as a proud sponsor. In honour of the Ramadhan month, Halal Enterprises was proud to be the sponsor of Liverpool EID Festival. This festival celebrates the end of the holy Ramadhan month with our Muslim friends, and aims to spread the joy of this festive season with everyone. The Liverpool EID festival catered to visitors of all ages and preference, from a small scale theme park for the children, to the wide range of food stalls and cultural booths for the adults. 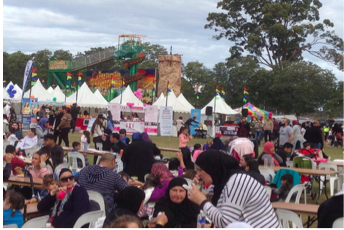 On the 22nd August 2015, Halal Enterprises had participated in Haldon Street Festival 2015 as a stallholder. Well known for gathering flavours and cultures around the world in a street, it was not surprising that over 25,000 visitors came to venture on that day. Early in the morning, our team had set out our stall ready to welcome enthusiastic customers with our signature wide smile. In our stall, we had our range of Habhal’s soy sauces, Dollee’s ready-to-cook sauces, Dollee’s cookies as well as Faiza’s sauces and curry powders. Not to forget our believe of ‘buy what you love, and love what you buy’, we made sure our customers receive the best taste testing services of authentic Malaysian flavour. Alongside 59 other stalls participating on that day, we were glad to introduce Malaysian flavours that made people smile. Returning to our roots. Started as a business selling Malaysian products, what reason do we have to not participate in this festival that brings back memories of home. The 27th Spetember 2015 marked our 5nd year participating in Malaysia Festival as a stallholder. This year, we came back bigger and bolder, with extended and expanded product lines. On top of that, we were a proud platinum sponsor of Mfest’15 to show our support to our fellow Malaysians. On that day, we were given 2 stalls, naming the Halal Enterprise stall and the Dollee stall for the arrangement of our products. Our team was assisted by a group of helpful student volunteers to manage both our stalls. In the Faiza stall was our Faiza cooking sauces, cooking condiments, Mi Sedap instant noodles, Mr P nuts range, Boy & Shrimp product range as well as cold coconut drink and soy milk to beat the afternoon heat. In the Dollee stall, we had our full range of Dollee cooking sauces, 8 types of Dollee cookies as well as 6 flavours of Ah Huat instant coffee and Alicafe and Alitea. As usual, we had prepared taste testings for cookies, sauces and coffee drinks. Soon, Pyrmont Bay Park was swarmed with an estimated 30,000 visitors throughout the day. In accordance to this special day, we had also prepared 2 hampers worth $50 filled with our high quality products to be awarded to lucky customers who bought products worth $15 and above. On the 13th to 15th November, Halal Enterprise was invited to participate in one of Sydney’s largest event, the Better Homes and Gardens Live. Situated in a cozy building in Olympic Park, Better Homes and Gardens Live was an one stop event that aimed to improve your home, garden and lifestyle. The event was packed with live cooking shows, innovaitve household products as well as healthy and easy food products. In our stall, we had our full range of products lined up ready to greet our valuable customers. 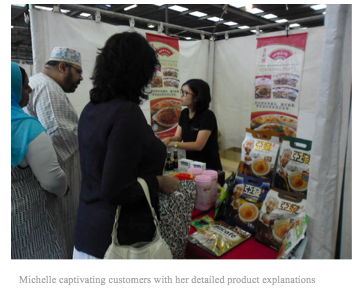 Of which included Faiza’s range of cooking sauces and condiments, Habhal’s cooking sauces, Dollee’s ready-to-cook sauces and cookies, King Kong cassava crackers, and our most recent line of products, the Amocan cooking sauces and soy milk. 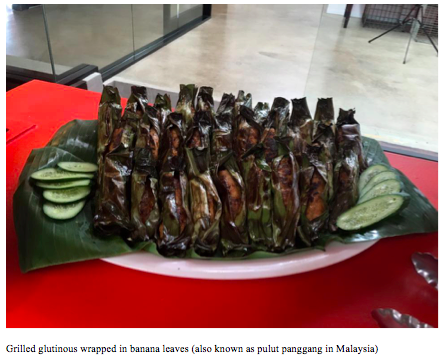 Upon setting up our taste testers, we were hyped up to provide our customers with a taste of Malaysian and Singaporean cuisine. Our experience in Olympic Park ended on the 15th November as we packed our stall with a greatful heart. 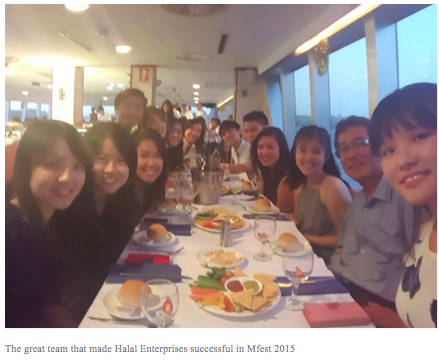 On the 22nd November, Halal Enterprises went on the Vagabond Cruise toogether with our wonderful Malaysia Festival volunteer team. 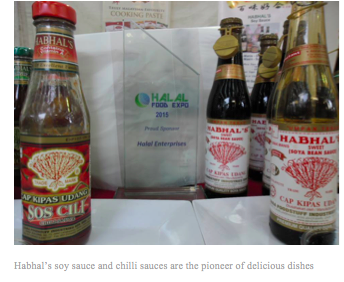 Due to their outstanding performances, Halal Enterprise had achieved greater heights in our business. 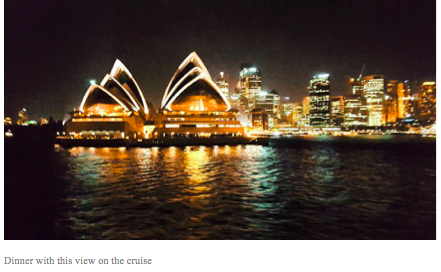 What better way to appreciate the volunteer team as well as our very own Halal Enterprises team than spending precious time together cruising the beautiful night view of Sydney Harbour. Below are some of our happy momments on that night. 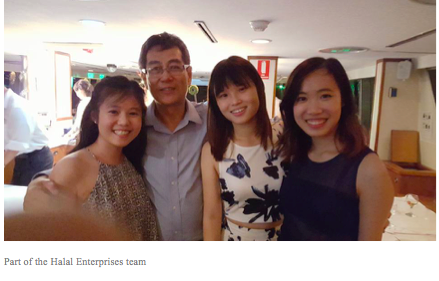 On the 27th November, Halal Enterprises was duly invited to the Xmas Party hosted by Fracht Australia. Fracht Australia has been a close partner of Halal Enterprises in the field of shipping and delivering our quality goods from Malaysia and Singapore to Australia. Here are some highlights from the party. 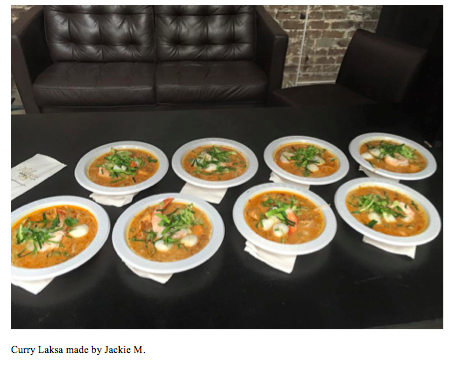 Once again, our products were featured by Jackie M in Malaysia Kitchen. We are proud that our Habhal’s soy sauce and Ah Huat instant coffee made it to Malaysia Kitchen and used by Jackie M. On the 22nd December, Director of Halal Enterprises, Aziz Shukor was present during the cooking show and even managed to get a picture together with Jackie M.